Description: Basic Adjustable Flybar model with cut before or cut after application, regular travel, regular eye. Applications: This basic model is suitable for any type of manufacturer and covers all tailored applications such as tailored clothing, outwear, vests and jeans. 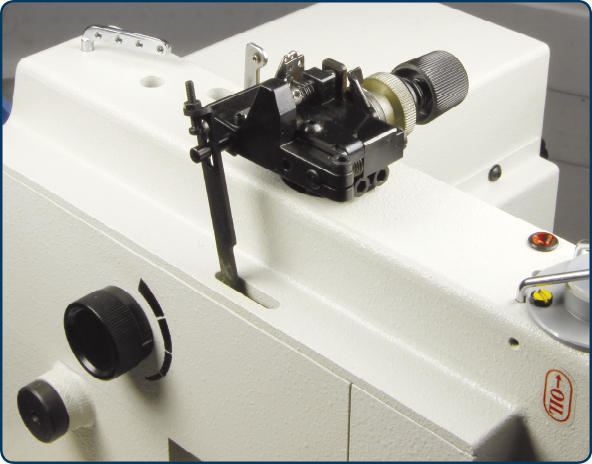 This model is supplied with 17 interchangeable cams to cover all buttonhole applications. The standard machine is also provided with 3 types of knives to do either cut before, cut after or no cut operations including 11 cutting blocks and extra looper set. Description: Adjustable Flybar model with cut before and cut after application, regular travel, regular eye. 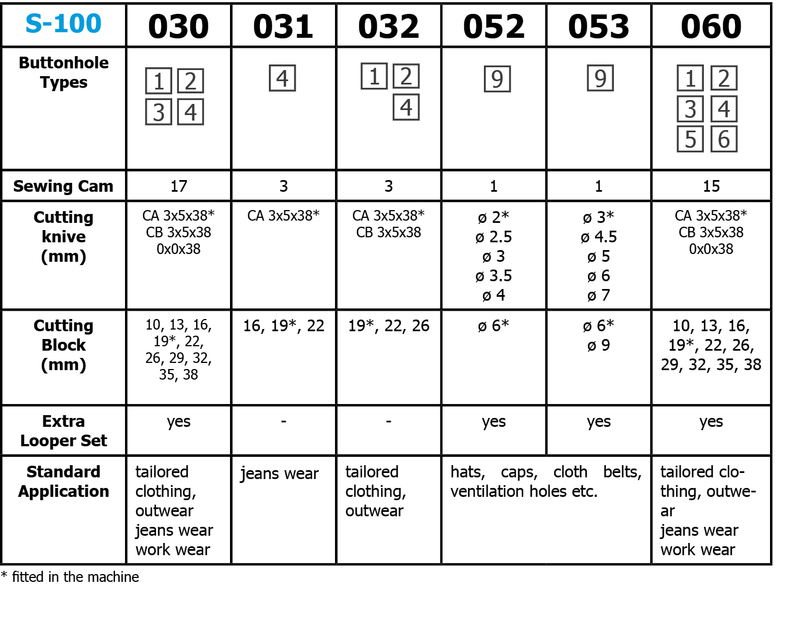 Applications: This model was developed especially for jeans industry and covers most Jeans and Denim wear buttonhole applications. This model is supplied with 3 cams as a standard to cover all denim applications, 1 cut after knife and 3 cutting blocks. Applications: This model is recommended for tailored clothing or outwear. It is supplied with 3 cams to cover most tailored applications. Cut after and cut before knives are provided as a standard along with 3 cutting blocks. 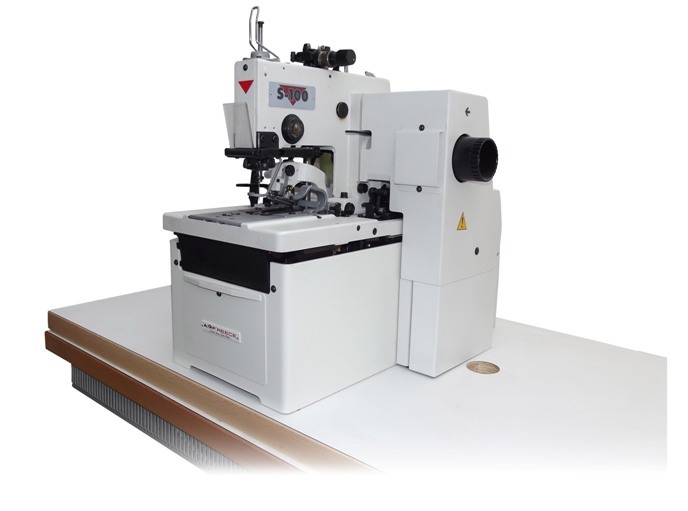 Description: This reliable model eliminates the need for separate bar tacking operation of eyelet buttonholes. 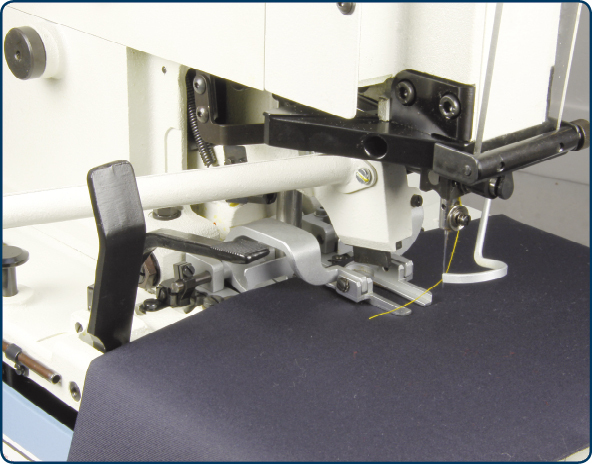 By simple changing of cams, which are supplied with the machine, different lengths and styles of buttonholes can be sewn. Either cut before or cut after applications can be used and selected easily and quickly by the use of two levers. Applications: This model is recommended for all tailored outwear, causal wear and trousers. 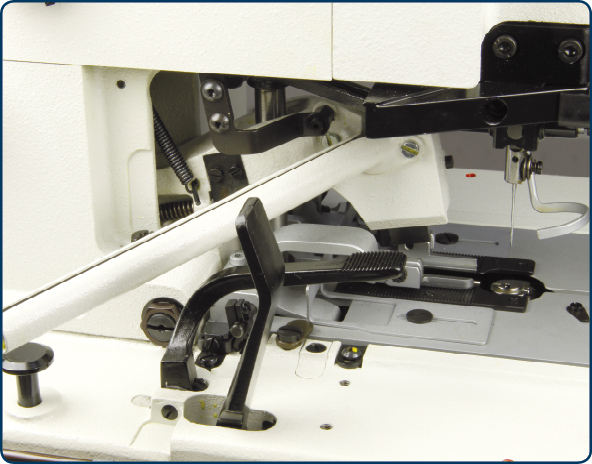 The machine is supplied with 19 interchangeable cams to cover all buttonhole applications including the crossbar. As a standard the machine is provided with 3 knives (cut before, cut after and no cut), 11 cutting blocks and extra looper set. Description: Small Round Eyelet adjustable from cut before or cut after. Either single or double thread can be used with an eyelet from 2 mm to 4 mm cut size. Applications: Hats, caps, cloth belts, ventilation holes. The model is supplied with 1 universal cam, 5 knives and 5 cutting blocks. Description: Medium Round Eyelet adjustable from cut before or cut after has the same features as the model 052 except for the eyelet cut size. Applications: Hats, caps, cloth belts, ventilation holes. The model is supplied with 1 cam, 6 knives and 6 cutting blocks. Please click on the following links for more details on accessories: Knive, Cutting Steel, Looper and Spreader. 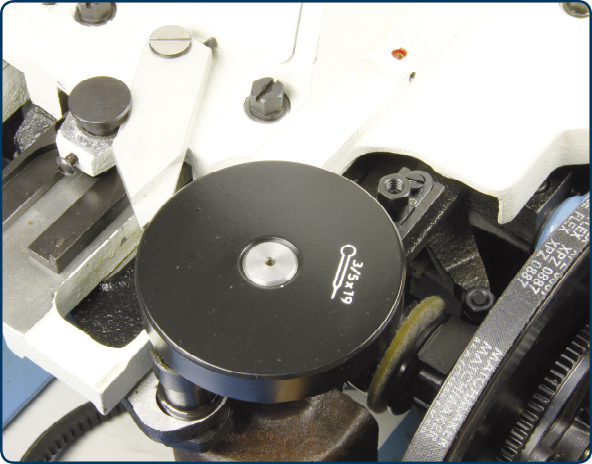 Please click here for recommended clamp feet and throat plates according to material type.